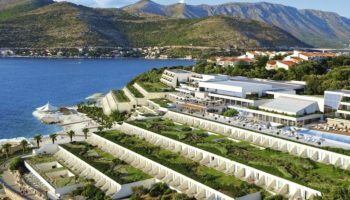 One of the most popular countries to visit in Europe, Croatia is home to some dazzling sights and some stupendous cities. 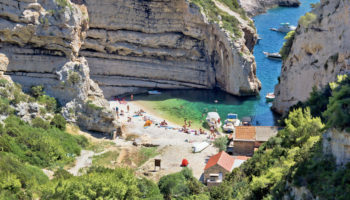 While some cities in Croatia such as Dubrovnik and Split are renowned for their beauty and attract hordes of tourists each and every year, others fly under the radar, contentedly hugging the coastline of the shimmering Adriatic; peaceful pockets of perfection, bathed in radiant sunshine. The ‘City on Four Rivers’ as Karlovac is known in Croatia is an interesting and unique place to visit, seldom frequented by tourists. In actual fact, only three rivers course through the city, with one other passing nearby. Flying under the radar, the historic city center is shaped and defined by its distinctive fortifications. Set out in a six-pointed star design, it is this feature that makes Karlovac worth stopping by although within its confines, the historic buildings are decaying slightly and could be looked after better. Apart from the ‘star’, Karlovac has one of Croatia’s best breweries so make sure to try its local brew before heading off again. People often stop by when traveling from Zagreb to the coastal regions. Located in Slavonia in the northeast of Croatia, Slavonski Brod is a pleasant enough if unspectacular city to visit although it has a nice promenade along the Sava River. The highlight of any trip to the city is the impressive Brod Fortress which is in excellent condition and is very interesting to walk around. Try and visit during mid-June when the city hosts the Brodsko Kolo Festival – a local folk festival which highlights some of the traditions of the region. With its incredible cathedral, beautiful beaches and medieval old town, Sibenik is an up and coming destination that is becoming increasingly trendy due to the music festivals that it hosts in an old Croatian fortress. A picturesque city, Sibenik is situated on the side of a hill overlooking the beautiful azure waters below and as such, steep alleys and steps characterize the center. There are actually four old fortresses for visitors to take a look at though it is St James’ Cathedral which is the main attraction. 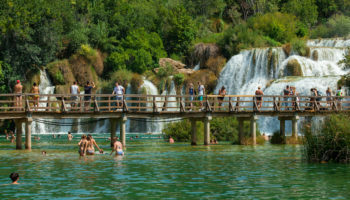 From here you can take a boat ride to the delightful islands of Zlarin and Prvic which lie nearby and the stunning Krka National Park isn’t far away either. As the former capital of Croatia, Varazdin’s beautiful baroque buildings are appropriately lavish and grand with a number of palaces dotted around the city. Its old town is simply delightful to explore and is amazingly well-preserved with some nice churches and museums interspersed among the old buildings. While the historic castle looks fantastic, not everything in the city dates back eons as its vibrant student body brings a youthful feel and ambiance to its streets. The third largest city in the country, Rijeka contains Croatia’s most important seaport and mixes the grand with the grimy. While the inevitable urban sprawl has accompanied its development, the old parts of the city are nice to explore with Austro-Hungarian architectural styles dominating the center. Numerous museums can be found here that explore the city’s long and varied history with Tsart Castle being of particular interest. Located on Kvarner Bay, most visitors use it as a gateway to Croatia’s islands although if you stay longer you’ll inevitably find that Rijeka is a nicer place than immediately meets the eye. Located on the banks where three rivers join, Sisak is an important cultural, economic and historic city in its region. 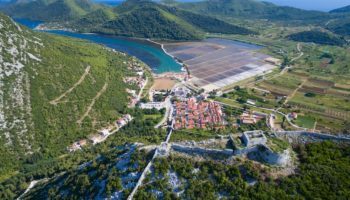 Dating back to before the Romans, the city has some interesting historical sites with the triangular fortress that dates to the 16th century being the main attraction. Roman ruins can be found at different points throughout Sisak and it has some peaceful paths stretching along the riverbanks. A laidback place, the greenery on show makes it a pleasant place to stop by. Situated not far from the borders with Hungary and Serbia, over the centuries Osijek’s important location has seen it swap hands numerous times with the Romans, Hapsburgs and Ottomans all having ruled at one point. Consequently, there is an eclectic mix of architectural styles and the city actually has three centers; each with their own feel to them. Tvrda, the oldest part, is the most picturesque of the three and highlights the cosmopolitan side of Osijek. A university town with a bustling nightlife, the regional capital is a great base from which to explore nearby sights such as Kopacki Rit National Park. With a wealth of historical sites dating back to the Romans, Pula has some lovely sights for visitors to enjoy. The undoubted crown jewel is the impressive Roman amphitheater that dominates the center of the city and there are numerous other historical sites of interest nearby. While the old part of town is quite picturesque, the modern section is more commercial and urban in appearance. Located right at the end of the Istrian Peninsula, there are some nice beaches just outside of Pula for visitors to sit back and relax on. 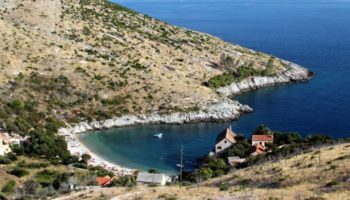 Many tourists opt to head to the stunning Brijuni islands which are situated not too far away from Pula. This quirky capital city is a happening place thanks in large part to its vibrant cultural and arts scene that permeates everything. 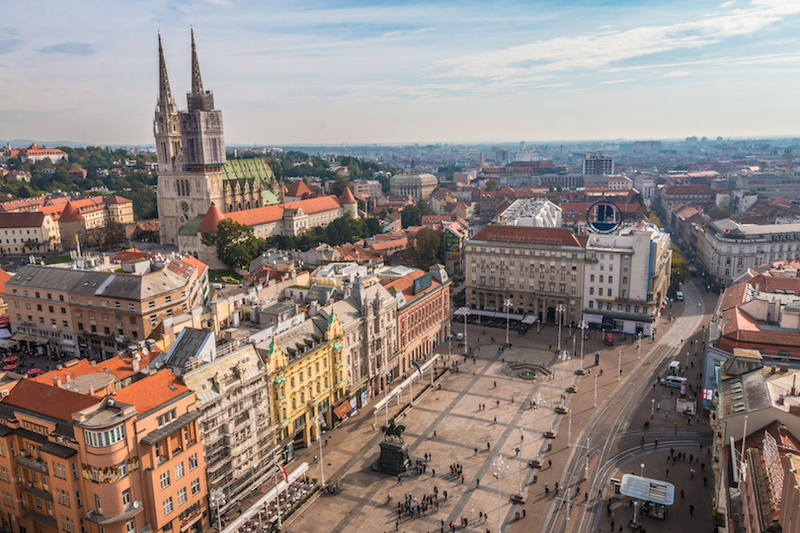 With museums, galleries, theaters and more, as well as a lively music scene and nightlife; Zagreb is certainly a fun city to spend some time. Although its Austro-Hungarian buildings contrast slightly with its Mediterranean feel, the residents of the city don’t seem to mind and they spend most of their time outdoors among the mountains and lakes that lie so enticingly near to Zagreb. 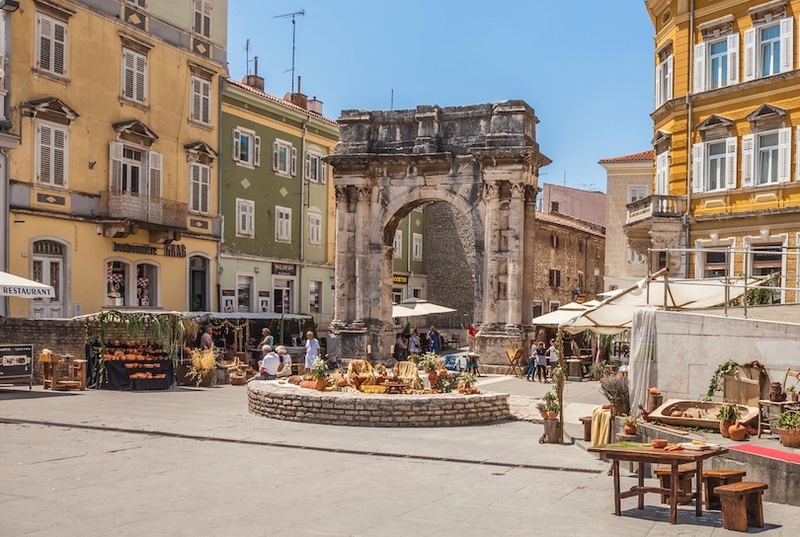 Located on a small peninsula, this lively city is a lovely mix of old and new and although it’s lacks the museum-like quality of some other Adriatic cities; it certainly has its charms. With Roman ruins, thirty-four old churches and a plethora of historic buildings to be found in the old town, wandering around its center is a peaceful endeavor. The vibrant bars and cafes that are found absolutely everywhere here reinvigorate the place and breathe life into its ancient streets. 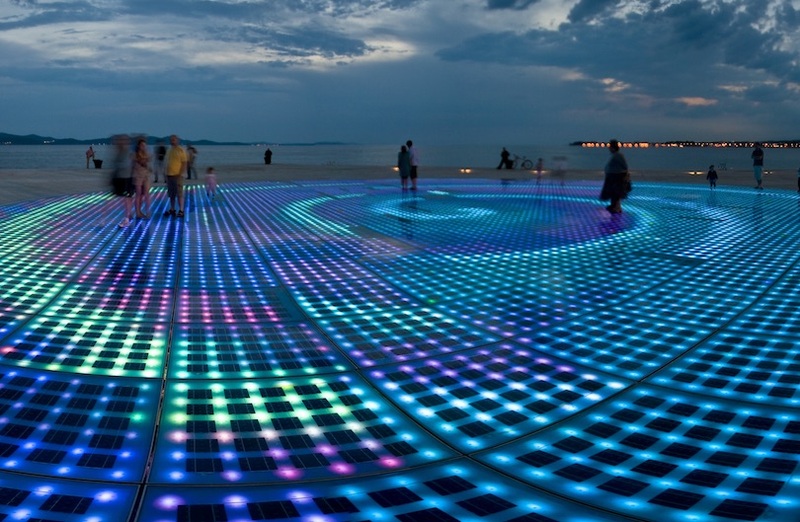 The two main attractions in Zadar are the interesting and innovative architectural installations named the Sea Organ and Sun Salutation. 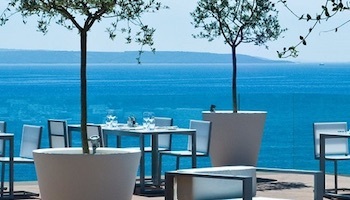 On top of all this, Zadar is the perfect base from which to explore some of the nearby islands. 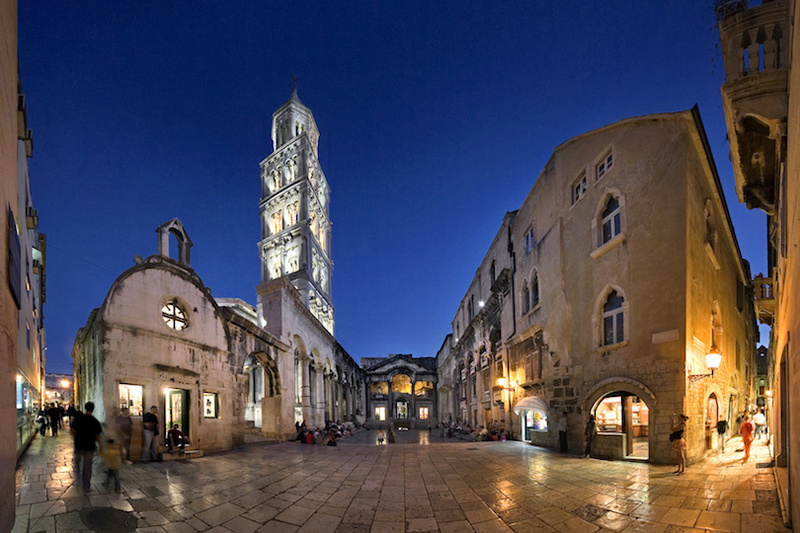 A fantastic place to visit, Split is the second largest city in Croatia and has charm and elegance in abundance. Lying on the Adriatic coast, the palm tree lined white waterfront is marvelous to walk along and the historic center lying just behind it is mesmerising for all the ancient sights that it contains. 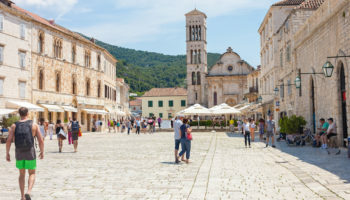 Originally the palace of Roman Emperor Diocletian, the city slowly grew from these auspicious beginnings into the Split we know today although the remains of Diocletian’s Palace itself are still the undoubted highlight. A lively place to spend some time, a plethora of nice restaurants and bars dot the old alleys and it is this lived in feel that makes Split so compelling to visit. 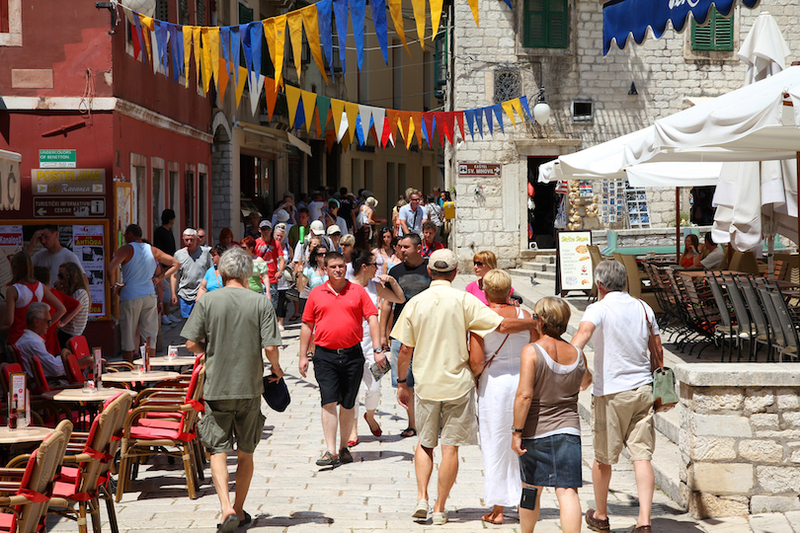 It’s not just a tourist site; it’s a home and a life to many Croatians. 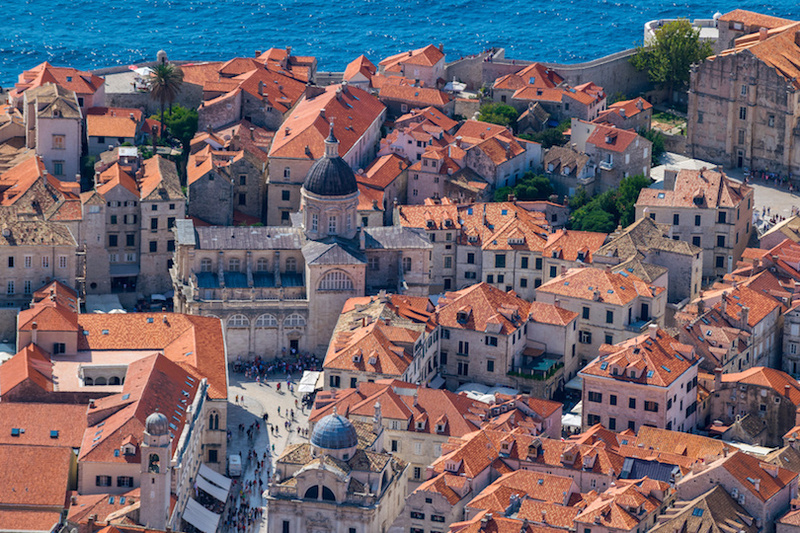 Often described as ‘the Pearl of the Adriatic’, Dubrovnik is an absolutely gorgeous city to visit in Croatia. 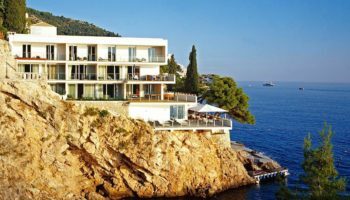 Lying at the foot of Mount Srd which towers above it, Dubrovnik’s stunning setting makes for fantastic viewing as its distinctive walls surrounding the picturesque old town jut out into the beautiful blue waters around it. Here you are greeted by a mishmash of ancient stone buildings, tightly knitted together with enticing narrow alleys running between them. Small bars and restaurants dot the place, hidden away among its wealth of historical sites. It is the most popular destination in the country and with good reason too. 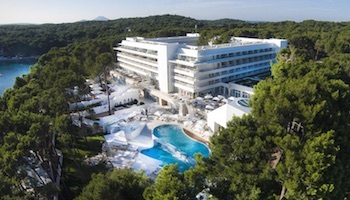 Though in recent years it has become inundated with tourists and prices have risen accordingly. No trip to Croatia is complete without having visited Dubrovnik.